New Master for the good ship Downshire! 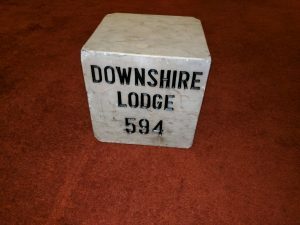 Downshire Lodge No 594 was founded in 1851, and with a long tradition connected to the nautical and seafaring community, the good ship Downshire has sailed on effortlessly over the seas of passion without quitting the helm of rectitude for a good 166 years. Pictured from left to right, are: Mark Mathews, Harry Cox and Dave Johnson. In October 2017, a packed Corinthian Suite at Liverpool Masonic Hall saw the helm of the ship placed firmly under the control of Colin Harrop as a ‘first time master’ at their annual installation meeting. With the lodge being opened by the WM Phil Clements and the general business being completed, the director of ceremonies Alan Riddell informed the WM that Assistant Provincial Grand Master Harry Cox was outside the lodge and demanded admission. 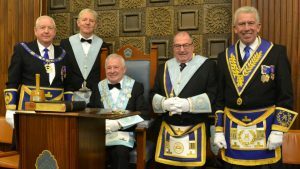 Accompanying Harry were fellow grand officers Barry Elman and Mark Matthews the Chairman of Liverpool Group, with Dave Johnson vice chairman, along with other Provincial grand officers. The WM gave Harry a very warm welcome and also proffered him the gavel of the lodge, which was received with equal sincerity in a particularly brief acceptance as Harry stated emphatically with a broad smile that he was here to have a pleasant evening. Returning the gavel saying he wouldn’t dream of depriving Phil and his fellow brethren within the lodge the opportunity of displaying the efforts of all their hard work. Pictured left: Harry Cox (left) toasts WM Colin Harrop. Pictured right: Norman Pritchard (left) toasts WM Colin Harrop. For the purpose of installation, Simon Wetherup was asked to occupy the chair of senior warden, Adrian McLoughlin that of junior warden with Peter Francis as inner guard while IPM Terry Longworth took his position as installing master. The master elect Colin Harrop was presented to Terry and asked the usual questions before being installed into the chair of King Solomon in an excellent ceremony very ably assisted by the officers of the lodge. All of the brethren were then admitted by rank and Colin was proclaimed the master for the ensuing year by the lodge DC Alan Riddell, with ADC Geoffrey Gill leading the brethren with the salutes for each degree. The third degree working tools were presented by Craig Copeland, while those of the second degree by lodge webmaster Gareth Schoorl, and of the first degree tools by Alex Gould, all performed in an excellent manner. Colin Harrop (left) and Terry Longworth. Colin’s first duty was the pleasurable task in which he took great delight in presenting Phil Clements with his past master’s jewel. He then to installed his officers for the year with their respective collars. The address to the senior warden Phil Clements was given by Simon Wetherup, while Pete Francis gave the address to the inner guard Alex Gould. 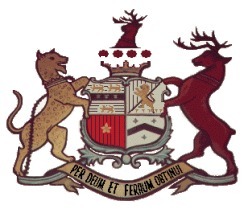 The addresses, first to the stewards was by Oliver Winder and that to the WM given in an equally excellent manner by Paul Copeland, while the address to the wardens was by Mark Matthews and the final the address, that to the brethren of the lodge, was delivered by the distinguished guest Harry Cox. 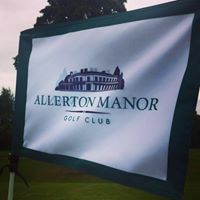 At the completion of the ceremony, Harry congratulated Colin Harrop on being installed into the master’s chair in what he said was a very enjoyable ceremony. He also made a point of congratulating the installing master, Terry Longworth, together with those brethren who had delivered such an excellent rendition of the working tools. In response, Colin Harrop presented Harry with two cheques to the total of £650, as donations to charity from the brethren of Downshire Lodge in favour of the West Lancashire Freemasons’ Charity receiving £500 and Marie Curie £150. On conclusion of the ceremonial, the attendees removed to the Festive Board to toast the health of the newly installed master Colin Harrop. In response to the toast to the grand officers Harry took the opportunity to extend his own personal greetings to the WM and the brethren assembled. The evening was enhanced by the presence of a number of guests, old friends and new, while the traditional master’s song was delivered in his distinctive dulcet tone by Norman Pritchard, accompanied on the pianoforte in thunderous style by Downshire’s own Oliver Winder. The evening came to an end in a relaxed mood after an excellent evening’s work well done. Posted on 20th November 2017 20th November 2017 Author WebmasterCategories UncategorizedLeave a comment on New Master for the good ship Downshire! Downshire Lodge returned from their summer break. Bro Paul Dwan was presented with his certificate from the distinguished guest W.Bro John Leisk. The elections for the Worshipful Master position were held and we are proud to announce Bro Colin Harrop elect. Posted on 28th September 2017 31st October 2017 Author WebmasterCategories UncategorizedLeave a comment on Meetings ……………. Downshire Lodge No, 594 will be returning from the Summer Break tonight for their first meeting of the season. 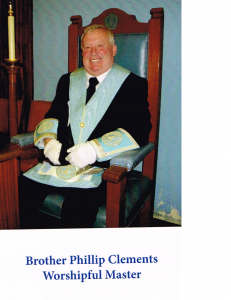 A new Master Elect will be decided tonight as the outgoing Worshipful Master Phil Clements prepares for a new challenge. Following changes to the Liverpool Masonic Lodge the brethren will be adjusting to a change of room. A new cocktail bar inspired by the Victorian age could be opened up in Hope Street inside the historic Masonic Hall . This weekend the ECHO took a look inside the Victorian hall, whose plain exterior opposite the Everyman Theatre conceals a warren of colourful and fascinating rooms. There is already a bar there dating back to when the building was renovated in the 1960s after a fire. Thomas plans to change its current “60s social club” feel to create a venue he says will be in keeping with the building’s history. He will keep the remaining original features including the giant windows overlooking Hope Street and the colourful stained glass above including Liver Birds and Masonic symbols. 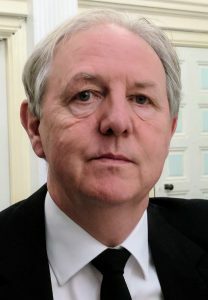 Thomas – who in his day jobs runs an energy consultancy – said: “We’ll be going down the theme of a Victorian gentleman’s lounge with a Masonic twist. “We’d like to pay homage to the building and open up a bit of the building to public use. The bar is set to open in November. News of Our Hall’s Future. A new theatre is set to open on Hope Street opposite the famous Everyman to develop new theatrical talent in Liverpool. The Hope Street Theatre will be created later this year inside the old Masonic Lodge. And the 130-seat theatre will focus on encouraging new performers, directors and theatre companies in Merseyside. The theatre project is being led by Sam Donovan, who’s also a director at two theatre schools in the building. He said: “We’ve been very lucky that we’ve been in contact with the Everyman, the Unity, the Empire, who’ve agreed to form and advisory board to help us cultivate young companies so that they can support their progress once they’ve developed and gained an audience in our venue and so they can move on to those bigger venues, those curated spaces in Liverpool. 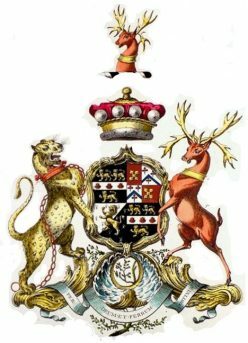 Posted on 21st August 2017 Author WBro LenCategories UncategorizedLeave a comment on News of Our Hall’s Future. A date for your Calendar !! More Information to follow.